Mary Beth became a licensed aesthetician in 2000 after training at International Academy and joined Dr. Sevigny in April of 2003. She continued her studies in 2010, earning her electrolysis license as well as her Certified Clinical Electrologist and Certified Medical Electrologist certifications. 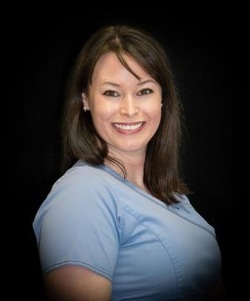 Mary Beth’s dual licenses and training allows her to specialize in facials, medical grade chemical peels, eTwo™ Radio Frequency skin rejuvenation and resurfacing, medical strength microdermabrasion, laser hair removal and skin care product consultations.